As we become aware of ACT test prep workshops we will post that information here. Being listed on this page is not an endorsement of a given workshop. Ryan provides online tutoring through tutoronlinelive.com. 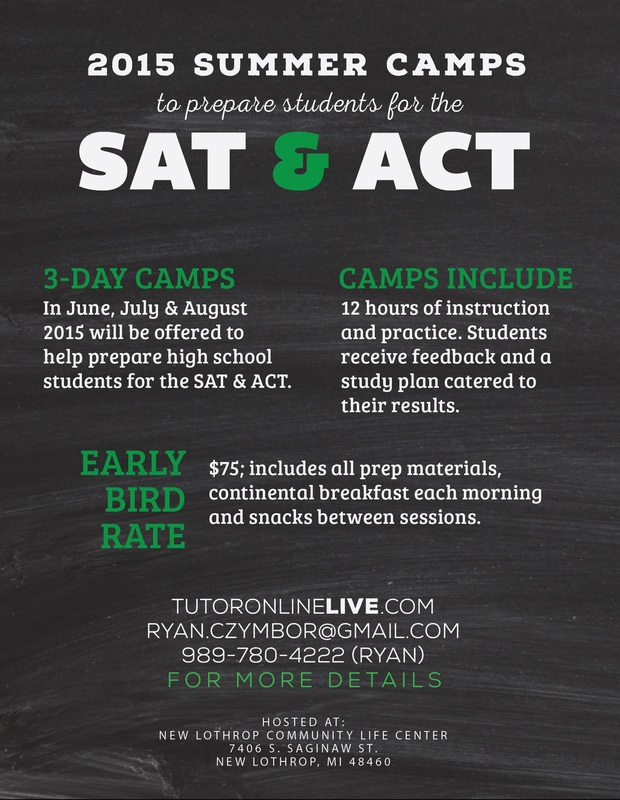 He is also hosting summer SAT and ACT preparation camps. Click here for more information. These workshops are designed to prepare 10th, 11th, and 12th grade students who plan to take the new revised A.C.T. college entrance exam. Timed practice sections covering each area of the test, English, math, reading, the new essay, and science reasoning, will be given under test conditions. There will be discussions on test taking skills and strategies, review of all instructions, timing techniques, guessing, avoidance of common errors and development of positive thinking. To download the original flyer with registration information, click here. All of their ACT tutoring is done one-on-one by tutors who are teachers. To download the original flyer with registration information, click here.